The Life of Bon: The great TV debate! 9:57 and I'm starting my blog post. Three minutes earlier than last night so... score? Life is insane. I need to figure out some kind of balance to the work and moving and madness that is currently my world. My body begs me to play even though it's so tired. Today after work I met Greg at Wal-Mart to look at TVs. (New TV! Holler!) I wanted the $350 TV, Greg wanted the $450 TV and neither of us were willing to bend. TV gridlock. So we ran around to several stores and then still ended up home TVless, not to mention grumpy. Moving sure does bring out the worst in me! I might have been willing to fork over the $450 for Greg's choice of TV, but I will have to pay around $200 for a copy of my brother's truck key, so... yah. No $450 TV. Once we were home with no TV I set to finish moving in and making our apartment look like a home. Only I was bored with moving. Unpacking my clothes seemed totally not stimulating and I hate all of our furniture and I want nice things but can't afford them and why doesn't my apartment look like pinterest? My cousin, Marianne, texted me to see if I was down for a little tennis. I knew I should have stayed to do work, but tennis was calling so I grabbed my racket and was out the door. Sometimes you just gotta let a girl play. I really love Marianne. She's a good egg. She hits a tennis ball like a madman, but she's a good egg. We played but mostly we kept losing track of the score because we were so busy chatting and it made me realize again how grateful I am for the relationships in my life. I keep getting reminded of that over and over again. So thanks Marianne! Today I'm excited to introduce Katie to you. To start with she's got about the coolest name ever- Katie Scarlett. Doesn't that just sound like a heroine of a novel? If I ever write that book I have been wanting to write I'm definitely naming my protagonist Katie Scarlett. Katie is also cool because she has totally rocking hair. More importantly, (or less importantly?) Katie is a terrific writer and tells a beautiful story. Her guest post was a complete joy to read and her blog offers more of the same. I especially enjoyed her post on tips to get out of a toxic relationship. Homegirl knows her stuff. Take it away, Katie! Hello all, my name is Katie Scarlett, I'm a nearly 20 year old from Ontario, Canada. I've recently left the busy city of Hamilton (laughably small in comparison to Toronto), and returned home to my small town of less than 17,000 people. The past two years have been a struggle for me, due to figuring out what I'm passionate about and would like to pursue in life. I've been studying at a top university away from home and quickly grew very overwhelmed and underprepared for this new life. It was all very strange for me, because I'm a very independent person who is fine with being away from home (hell, I wanted to escape like every other teenager in my small boring town!). I realized after changing up my life a bit this year that sometimes it's hard to have perspective when you're too close, you can't see the good that's in plain sight. Spending the past weekend trying to get settled into life back home has been difficult, I'm back in the basement of my parents home with my two brothers. There are moments where I feel as though my mother is trying to "mother me" too much, which I've been able to be free of because of our distance so that will be a struggle. However, through it all I've come to realize that even though at first coming back here sounded like the worst thing possible for me, it may very well be helpful. I'm from a town where the busiest road is a two lane road alternating from 50-60 kilometers an hour. The busiest shopping centre is the drugstore, giant tiger and grocery store filled plaza and several kitschy shops in the surrounding area. We rise between 5am-8am and the town is cast into a slumber by 8pm (at the very latest). Afternoons are spent winding through old country roads with my camera and taking pictures, singing loud to the radio and feeling very free and in my element. However, being home fills me with anxiety and I feel as though I walk on eggshells. Sometimes you think stepping into your past will trap you there, especially as a teen you believe that you'll end up there for life not accomplishing anything you've aspired to be. However, I think this time to concentrate of re-evaluating my life and expanding my portfolio for my photography career will really help me. In the past two years I've really lost my old self, although my teenage self was struggling quite a bit she was also very inviting, welcoming and outgoing. In the past two years I've become very withdrawn (unless forced into relationships at work) and uncomfortable in my own skin emotionally. Not because I'm ashamed of myself, or wanting to hide- but because I don't know WHO I AM, and how can you be confident in something/someone you don't even know? Life throws us all curveballs and sometimes it leaves you feeling overwhelmed and hung out to dry. But, as much as moving forward to a new adventure is therapeutic and proactive for finding yourself, returning to your roots and remembering the good of your past could be beneficial toward your growth in the end as well. 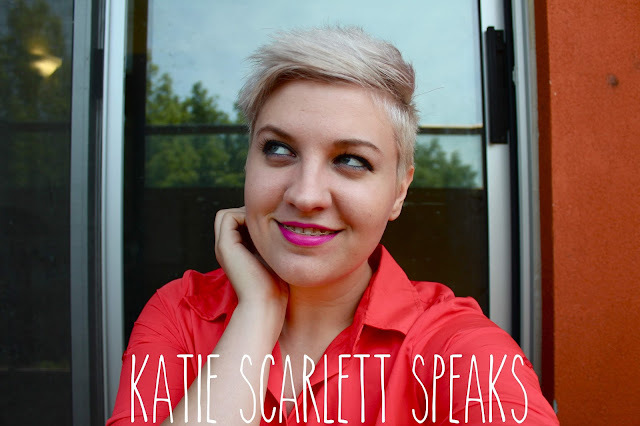 If you're at all interested in seeing how this journey continues throughout the year, please feel free to follow my blog at katiescarlettspeaks.com and on bloglovin! Was anyone else's first thought Katie Scarlett O'Hara? Gone With the Wind is my favorite book. And I agree it's a great name! My thoughts, too! I guess Bonnie hasn't/read seen that one? It's a staple in the South! Bonnie I LOVE the way you introduce your sponsors. I NEVER click on the titles with "guest post" in them or that I can tell are goin to be guest posts. I feel like you trick me into reading them, but in a good way. I'm just reading a normal post and you're all "Oh btw guest blogger." and at that point I'm like meh, might as well keep reading I've come this far! I love it! Ahh I hope you get a TV soon! Apparently if you call the dealership with the vehicale's VIN number that should be all they need to get you a new key. Moving is just the worst. Nothing about it is easy or fun. We moved two months ago, and I still haven't put much up on the walls. I think that hell would be in a perpetual state of moving. And Katie Scarlett is a literary heroine! In Gone with the Wind Katie Scarlett is Scarlett's full name--so pretty and spunky! I'm glad you caught the GwtW reference, too! Ah the good times of moving. Hopefully you two will figure out the TV situation! at least your husband only wants a $450 tv. that's cheap! my husband wanted a $1300 tv. we settled (and i found an awesome deal, thankyouverymuch) on a $1000 tv. now he's happy and i'm mostly over it and no more tv talk for a few years, at least! I love your blogs, grumpy or not.